After graduating from chiropractic college in 1986, Dr Phil Delport (Chiropractor) practiced in the United States for a year, went to South Africa for a number of years and then came to the UK in 1990 to open his current practice. He’s delighted to serve those in Ewell and Epsom. Believe it or not, the practice used to be a chemist’s shop. Phil started practicing in the stock room at the back of the business. “I thought it was an interesting place to work given my views on pharmaceuticals.” Due to too much competition from other chemists in the village, one of the chemists in the town came to talk to Phil one day. Realising he couldn’t make a go of his business due to the competition he asked if Phil would like to take over the shop. It’s always our intent to try and educate people about the bigger picture. Though patients often come in with back or neck problems or headaches, we want to let them know that true health isn’t an absence of pain. 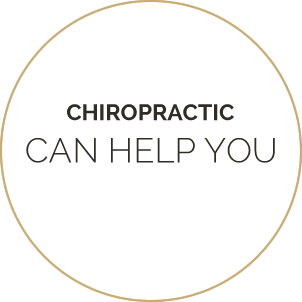 We let patients know that chiropractic is actually a lifestyle for people who want to enjoy better health, naturally. When there is no interference in the nervous system, your body can function at 100% and you can experience better overall health. We also talk to patients about exercise and nutrition, which are also critical when it comes to wellbeing. One of Phil’s most noteworthy patients is Linford Christie, who won a gold medal in the 100-metre race in the 1992 Summer Olympics in Barcelona. He had been running for years with pain in his legs. After he’d been treated at the practice it was the first time in years he was able to run without leg pain. In addition to winning that gold medal, Linford went on to break many world records. We feel privileged to have been able to provide chiropractic care to help him achieve his athletic goals. We also had a patient who came in with a 45-year history of back problems. He had seen many practitioners in his quest for relief. Finally, he experienced relief at our practice, despite such a lengthy history of pain. It’s been an honour to get so many referrals from people who appreciate the gentle approach we take to chiropractic care. We offer a variety of techniques, including Sacro Occipital Technique® (SOT®), Diversified and Thompson Drop. Additionally, we use the Bio-Energetic Synchronization Technique (B.E.S.T. ), which is a non-forceful, hands-on technique to help optimise the body’s healing potential. Massage therapy is also offered at the practice as an ideal complement to chiropractic care. At Ewell Chiropractic Health Centre, we look forward to helping you not only get out of pain but on the path towards abundant health. Contact us today to schedule a same-day appointment!